The average gift card recipient spends 20% more than the cards initial value. That's extra sales!Order your biz' gift card today! Tele-Pak's custom gift cards work with your existing point-of-sale equipment. If you don't have a POS program, let us know and we can recommend one. You've spent time and effort into developing a card that is worthy of your branding. Ensure a great gift card presentation with a gift card holder (or carrier). Tele-Pak's card holders and presenters are professionally printed in full color on quality card stock, are scored for easy folding and have two slits for easy gift card insertion. Tele-Pak's hanging cards are made of plastic or card stock, and feature a broad display of color and design area for your gift card. Tele-Pak Inc. is located in Monsey, NY and has been a reliable worldwide leader in the plastic printing industry since 1996. They produce all kinds of top of the line card printing: gift cards, plastic key tags, scratch cards, phone cards and point of sale activation cards. Customgiftcards.com is just one member of the Tele-Pak family of web sites, which include cardprinting.us, plasticprinting.com, plastickeytag.com, plasticpostcards.us and our corporate web site www.telepak.com. If you don't see what you need on our web sites, please don't hesitate to contact us by phone or email. We will be able to help! "We ordered Gift Cards last year and were incredibly impressed with your pricing and quality. We would like to make another order." "I just got off the phone with our first client who loved the custom tags! Thanks for making our first order a success!" 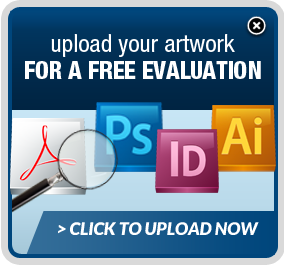 We'll evaluate your art for FREE!